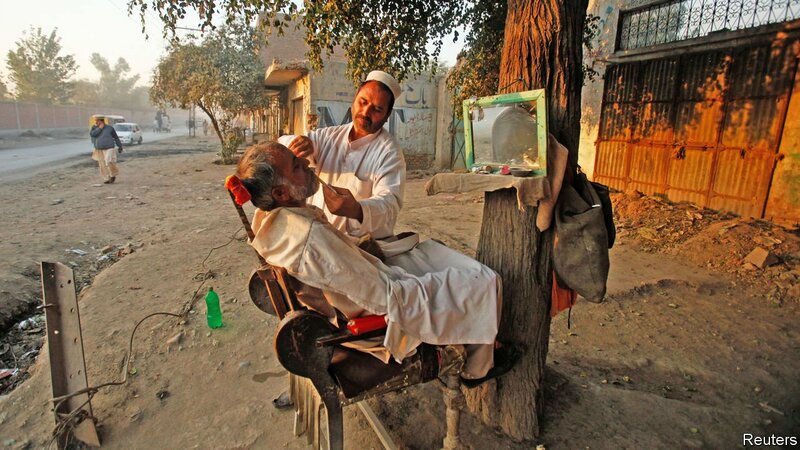 HOVERING ABOVE a plush barber’s chair in his small hair salon in Peshawar, a city in northern Pakistan, Muhammad Ijaz strokes a beard so intricately designed it verges on the preposterous. Hair swoops across his cheeks. A chinstrap of clean-shaven skin surrounds a thin goatee. “It’s never been done before,” boasts the 24-year-old with a smile. Such so-called “French” beards (a term that might surprise Parisians) are sprouting all over the urban centres of Khyber Pakhtunkhwa, a mountainous border region, only recently emerged from almost a decade on the front line of Pakistan’s Taliban insurgency. Between 60% and 95% of customers now come in for fancy designs, according to a straw poll of the barbers in Khyber supermarket, a popular shopping destination. One barber draws his fingers across his face, illustrating the “L”, the “J” and other in-vogue patterns. Does screen time affect children?